Join Little Quack and his sister Piddle as they explore the colorful world around them! 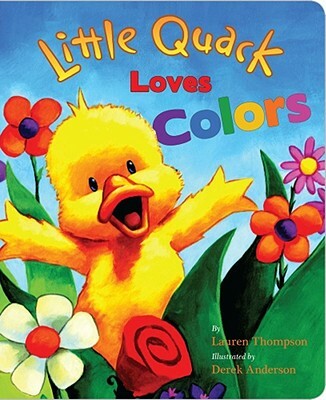 Children will love learning their colors as Little Quack encounters bright red ladybugs, oozy brown mud, sweet, yellow buttercups, and much more! The padded board book is a perfect format for young readers!